With the set of the sun this evening, the world was zoche (merited) to enter Tu B'Shevat (the 15th of Shevat), the new years of trees. Jewis law gives over that instead of only one new year, there are actually four, each one spelling out a year of time for different things, depending on certain qualities. Though it has small implications on the average life of many of even the more religious community of Jews, Tu B'Shevat, as with everything in Judaism, has important lessons for each one of us. While at the small tish held in my yeshiva in honor of the arrival of the day, one of my rebbes gave over the following vort. In Hebrew, the word for "human" is "adam", connected to the world "adamah", meaning "earth". This is to symbolize that man came from the ground, and he will one day return to the ground. While this is often as far as people go with this connection, the vort expressed a deeper connection. 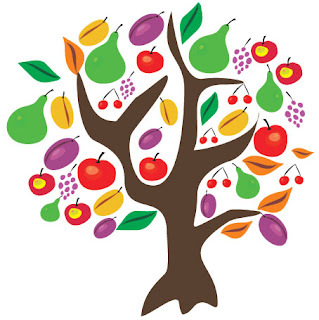 The maggid shiur (instructor) said that just as adamah (earth) has the ability to produce great fruits if worked and toiled over, so too with adam, or humans. If a person works on their spirituality, and truly internalizes real Torah, they have the ability to produce tremendous fruits. If however, they fail to work on themselves, just as with land, they will be left with weeds and barrenness. A second maggid shiur, to compliment the vort, gave a short story of a Chasidishe rebbe. One year, the rebbe expected that only around 80 Chasidim would attend his tish for Tu B'Shevat. However, once the tish began, more than 200 people arrived. Each person was looking to partake in fruits and produce, as is custom in honor of Tu B'Shevat. When one Chasid reached the rebbe, he complained, "Rebbe, I came looking for fruit, but their is nothing left to eat." In response, the rebbe quoted a piece from the opening of Shacharis (the morning prayers): "Eily d'vurim she'udum oicheil peiroisei'hem bu'oilum hazeh, v'hakeren kayemes loi lu'oilum habu...g'milis chasudim...hachnusas oirchim, ivikir choilim...v'iyin t'filu," meaning "These are the things that man eats the fruit of in this world, but whose principal remains for him in the World to Come...acts of kindness...welcoming visitors, visiting the sick...and praying with depth." Then he said that the statement is finished by an important addition, "v'salmid Toiru k'neged kilum", or "the study is Torah is equal to it all." "You want to eat fruit," the rebbe asked. "Then go learn more torah." May this combined lesson be internalized by all of us on this Tu B'Shevat.